The Cost of War at home and abroad! And yet the U.S. empire can’t afford to provide basic medical care, a safety net to feed the poor, house the homeless, create living wage jobs, protect the environment, rebuild failing infrastructure, teach the children, so what exactly is the bloated U.S. military/war budget defending? The decision of a grand jury not to indict white Police Officer Darren Wilson for the shooting death of 18 year old, unarmed, African American Michael Brown in Ferguson, MO has sparked protests in more than 170 cities throughout the U.S., Hawaii and beyond. Racial profiling, disproportionate sentencing, and mass incarceration exist for people of color, throughout the U.S. and Hawaii. Hawaiians are reported to make up roughly 20% of the population but more than 60% of those imprisoned. How come? Nov. 28th – Happy Hawai`i Independence Day! On Nov. 28, 1843 the British and French governments recognized the Independence of Hawai’i as a nation among the family of nations. 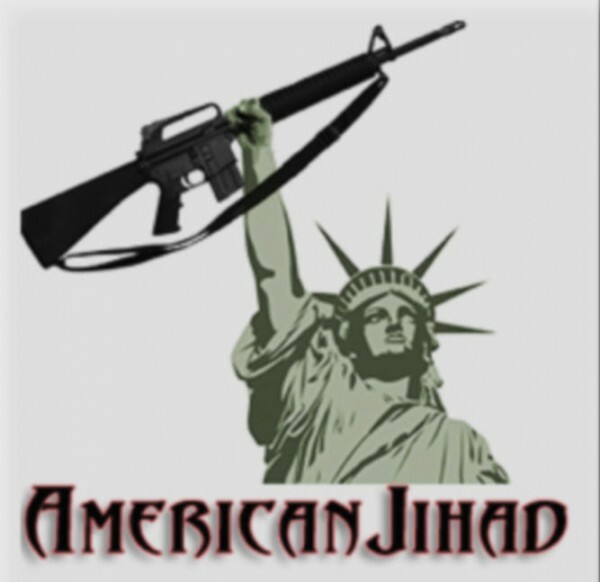 It’s long past time to end the U.S. Occupation of Hawai’i –ongoing since the Bayonet Constitution of 1887, the illegal overthrow of Queen Lili’uokalani in 1893 by U.S. troops and business interests, the fake annexation of Hawai’i in 1898, and Hawai’i becoming a Fake State of the U.S. in 1959. End Racism, War, & U.S. Occupation! It’s Time for Justice, Peace & Saving the Planet! Palestinian-American human rights attorney and activist NOURA ERAKAT to speak in Hawaii. Hawai’i Friends of Sabeel, The Muslim Association of Hawai’i, The Hawai’i Coalition for Justice in Palestine – HCJP , Jewish Voice for Peace-Hawai’i, and UH departments and centers will be hosting three events with Palestinian-American human rights attorney and activist NOURA ERAKAT. Details will follow regarding these events, but save the dates and watch for updates! Erakat will speak on “The Legal Anatomy of Israeli Settler-Colonialism,” and Andre Perez and ‘Ilima Long of Movement for Aloha No ka ʻĀina (MANA) will be in conversation with her and audience members about connections and differences that characterize settler colonialism and occupation in Palestine and Hawai’i. This visit is generously funded by Hawai’i Friends of Sabeel and the Muslim Association of Hawaii. Co-sponsors: HCJP; MANA; Jewish Voice for Peace-Hawai’i; World Can’t Wait; Revolution Books; St. Clement’s Episcopal Church; Food (+); Hawai’i Institute for Human Rights; Hawai’i Faculty for Justice in Palestine (H-FJP); the UHM School of Hawaiian Knowledge; the UHM Center for Biographical Research; the UHM Departments of American Studies, Anthropology, English, Ethnic Studies, Political Science, and Women’s Studies; and the Chaminade History Department. 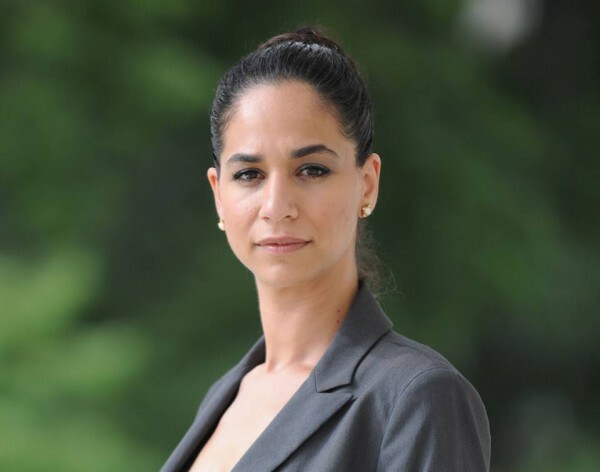 NOURA ERAKAT is a human rights attorney and activist. She is an Assistant Professor at George Mason University and a Co-Founder/Editor of Jadaliyya e-zine. Most recently, she was a Freedman Teaching Fellow at Temple Law School and has taught International Human Rights Law and the Middle East at Georgetown University since 2009. She served as Legal Counsel for a Congressional Subcommittee in the House of Representatives, chaired by Congressman Dennis J. Kucinich. Noura’s scholarly interests include humanitarian law, human rights law, refugee law, and national security law. Her scholarly publications include: “U.S. vs. ICRC-Customary International Humanitarian Law and Universal Jurisdiction” in the Denver Journal of International Law & Policy, “New Imminence in the Time of Obama: The Impact of Targeted Killings on the Law of Self-Defense” in the Arizona Law Review, and “Overlapping Refugee Legal Regimes: Closing the Protection Gap During Secondary Forced Displacement,” forthcoming in the Oxford Journal of International Refugee Law . Noura’s media appearances include MSNBC, Fox News, PBS NewsHour, BBC World Service, NPR, Democracy Now, and Al Jazeera. She has published in The Nation, The New York Times, The Los Angeles Review of Books, Huffington Post, IntlLawGrrls, The Hill, and Foreign Policy, among others. Noura is the co-editor of Aborted State? The UN Initiative and New Palestinian Junctures, an anthology related to the 2011 and 2012 Palestine bids for statehood at the UN. No More Troops! No More Bombs! U.S. Intervention is the problem not the solution! U.S. Intervention created ISIS! 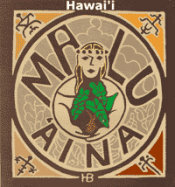 Malu ‘Aina, along with many others, have long stood against the escalation of war and the growth of the military industrial war complex. 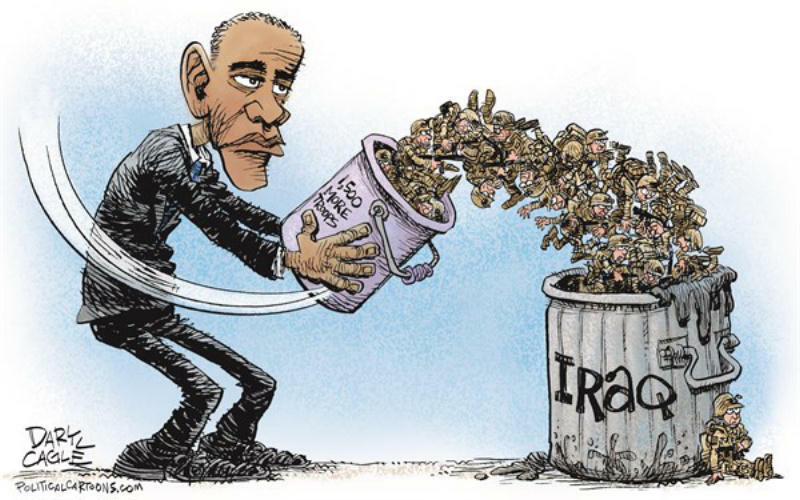 Today the U.S. is bombing in Iraq, Syria, and several other countries. War is all about death and destruction, and corporate profits for the few at the expense of the many. War is about increased surveillance and an erosion of civil liberties at home. War does not promote peace, justice, and a livable planet. It does not promote democracy, diplomacy, and lasting security. It does not promote jobs that serve the common good, and our ability to better care for one another and our environment. Instead, war diverts tax dollars away from education, jobs that serve human needs, universal health care, addressing climate change and a host of other domestic and international issues. For all these reasons, and more, we must demand an END TO ENDLESS WARS NOW! Enough War already! It’s time to Wage Peace! FYI Please mark your calendar and help pass the word on this important “Clean Elections forum” Thursday, Nov. 20th 6:30PM at UH Hilo UCB 100. See below. Since the U.S. Supreme Court’s 2010 Citizens United ruling, big, special-interest money has been flooding into political campaigns. According to the Hawaii Campaign Spending Commission, in 2012, over $4 million was spent on Hawaii campaigns by independent groups. In the 2014 election , a single “independent” group, funded almost entirely by Monsanto and Dow Chemical spent $8 million on a ballot initiative campaign. Nationwide, many Americans believe that the influx of special interest money in elections threatens the integrity of our democracy. As an antidote to big money funding their bid for office, with Clean Elections, candidates have the option of running on public funding so that they will be more likely to be answerable to their constituents rather than to their rich campaign donors. The 2014 Legislature failed to continue the funding of the Big Island Clean Elections Pilot Program and ultimately killed a bill which promoted a statewide Clean Elections program. However, in 2013, the Legislature passed a bill which would require stronger disclosures for independent groups seeking to influence our elections. The forum will discuss how the 2015 legislature can continue to combat the corrosive effects of outside money in Hawaii’s elections. The event is sponsored by Common Cause Hawaii, Global HOPE, and the nationwide student group, Democracy Matters. The panel discussion is free and the public is encouraged to attend. Parking on the UHH campus is free in the evening. For more information phone Noelie Rodriguez, 934-2635 or 963-6966. In April 2013 over 80 students from HawCC and UHH joined with members of the community to march from their campus to the State Building to rally in support of the public funded Clean Elections reform.